The plight of Quebec's maple syrup industry has caught the eye of Pierre Paradis, the province's agriculture minister. While the province's share of global maple syrup production was 78 per cent ten years ago, it has fallen to 69 per cent today. We remain the global leader, but that's still quite a drop in market share. The plight of Quebec's maple syrup industry has caught the eye of Pierre Paradis, the province's agriculture minister, who put out a press release on May 15 ordering a study of the industry. While the province's share of global maple syrup production was 78 per cent ten years ago, it has fallen to 69 per cent today. We remain the global leader, but that's still quite a drop in market share. What's going on? Well, as my colleague wrote in early April, production has increased by 44 per cent in Quebec over the past decade or so, but it has increased by more than that in Ontario, New Brunswick, and south of the border in New England. There would be nothing wrong with this if it were simply the result of changing market conditions. Over time, as various factors evolve, a given jurisdiction can quite naturally come to produce less of one thing and more of another. But this is not just a case of changing market conditions; there are government forces at play as well. In 2002, Quebec imposed a supply management system on the industry in this province. Producers have to get permission from the Fédération des producteurs acéricoles du Québec (the Quebec maple syrup producers' federation) in order to transform and sell their goods. Quotas have been established in order to control the quantity of maple syrup produced and thereby raise the price of the product. This is justified in terms of helping producers by ensuring high and stable prices, but this help comes at a cost. Producers can sell small containers of syrup on site, but to sell to grocery stores, they must pay 12 cents per pound to the federation. The federation handles all bulk sales, and producers often have to wait years for payment. Unsurprisingly, some producers are unhappy with this state of affairs, and try to get around it. The federation has dragged over 100 of them before the province's agricultural tribunal, and has even posted security guards in several sugar shacks to make sure they don't circumvent the system. The federation, though, seems to think that everything is just fine. 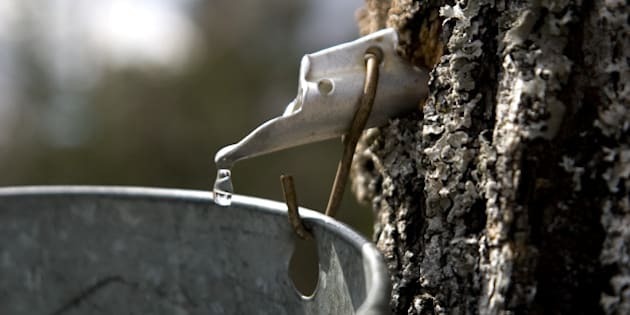 According to a recent article in the Financial Post, the executive director of the federation said he has a list of 1,000 farmers waiting for a quota to produce maple syrup in Quebec, which he considered proof that the Quebec industry is healthy. The industry is losing market share, and 1,000 producers are queuing up for permission to produce? Sure, that sounds like a healthy industry! For the sake of Quebec producers and consumers alike, let's hope the government's study comes quickly, and puts a merciful end to the misguided supply management of maple syrup.